Listen up, scientists. 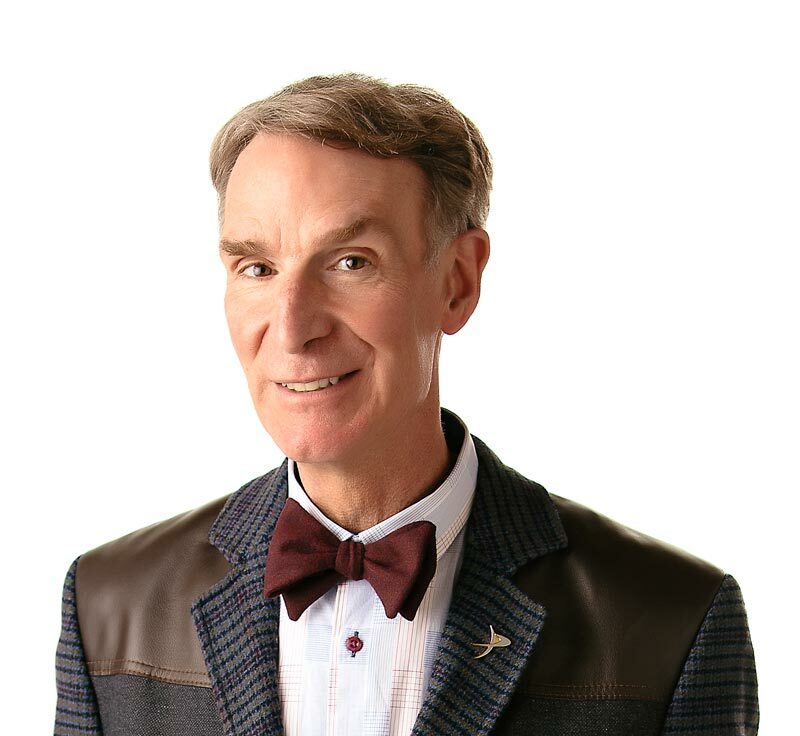 Bill Nye is here to make some noise in the “Sound” episode. Your vocal cords do it. Speakers playing rock music do it. Even a school bell does it. They all vibrate; and that’s how sound is made. Plucking a stretched rubber band makes the rubber band vibrate. Air molecules around the rubber band move, pushing other air molecules. As the rubber band continues to vibrate, it sends waves of sound through the air. It’s a lot like the ripples you see when you drop a rock into a pond. You hear sound when rippling air pushes on tiny bones in your ears. Nerves in your ears send a message to your brain about the sound you’re hearing. Different sounds make different patterns of waves with different distances between them. Plucking, banging, whispering, and yelling are all vibrations in air, yet they all sound very different. Sound vibrations can be thought of as waves moving through molecules. Low-pitched sounds have big gaps between waves, while high-pitched sounds have waves that are bunched together. Loud sounds have more molecules moving and more energy than soft sounds. Sound is much more than music. It’s not just noise…it’s science. Sound is made by vibrations. Sound travels through materials in waves. Ears are specialized structures designed to receive sound. The smallest bones in your body are in your ears? For their size and weight, grasshoppers make the loudest sound of any animal? Sound moves through air at over 3 soccer fields (344 meters or 1,130 feet) per second? “Understanding Sound” by Beulah Tannenbaum. Published by McGraw-Hill, 1973. “Sound” by Jason Cooper. Published by Rourke Group, 1992.